News International Group Ltd is home to some of the biggest and most popular British newspapers. The Times and The Sunday Times are the world’s best-known quality newspapers, and The Sun remains the most read British newspaper with more than seven million readers each day. 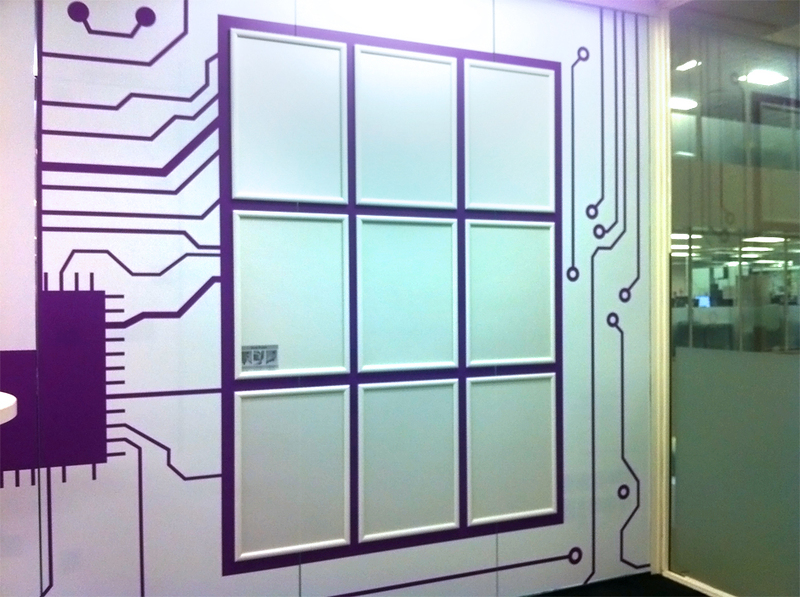 We were asked by News International to design and install some graphics in their technical department. 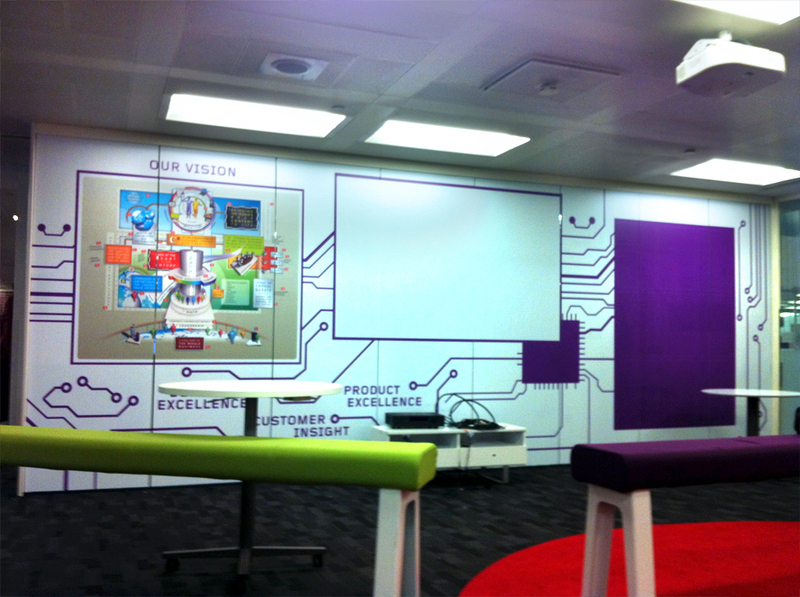 It was to feature a graphic they had developed internally called ‘Our Vision’ and it needed to have an area that the projector could be beamed onto. 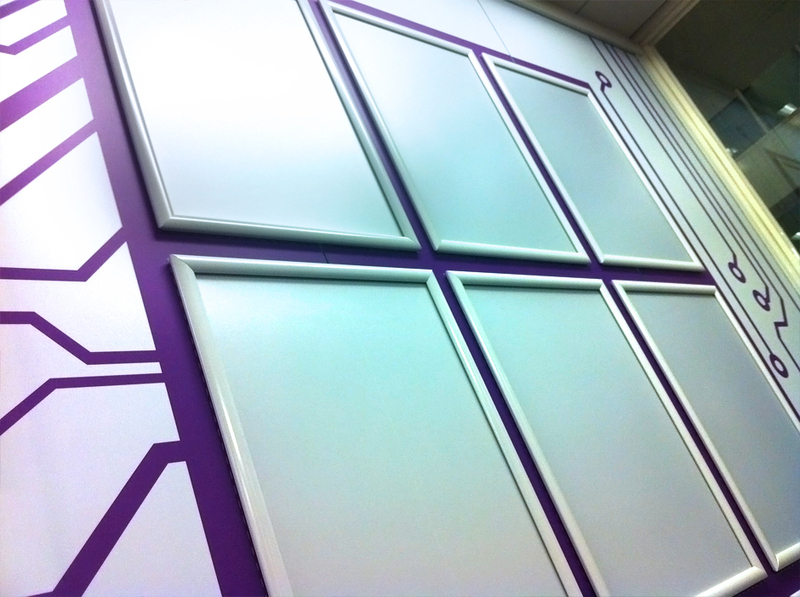 They also wanted a way to put up and take down graphics themselves so we installed some nice snap frames.